DiRT takes a look at yet another awesome Smackdown! It made little girls cry! How awesome is that?! DiRT takes a look at SummerSlam and Monday Night Raw! 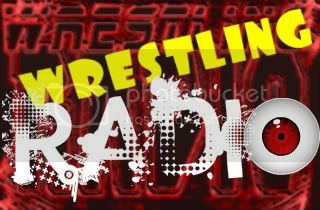 DiRT’s weekly look at WWE Smackdown with VOICEMAIL! **UPDATE** Apparently you can't put the mp3 link in the image field to make it work nor update last episode's podcast. Can a Prinze save Monday Night Raw? DiRT takes a look at Friday Night Smackdown and makes a challenge to the musically inclined! DiRT opens the show will a special announcement that may change the show forever! Raw was bad. Smackdown was good. How many more weeks can this repeat? Smackdown is great! Great tag match! Great main event! And NO Pretty Ricky or Word Up! YAHOO! Watch this week's episode of ECW courtesy of Hulu.com!